Did we make the right decision? I decided to start watching Terra Nova today on hulu+ and saw the first episode this evening. Spoiler: The show first introduces a couple with three children living in a dystopian future 200 years from now. There is a cutscene that shows the Earth from the moon (cf. Earthrise), but instead of a picture of the cerulean verdant world we live on now, we see a sandy desert wasteland from space (cf. 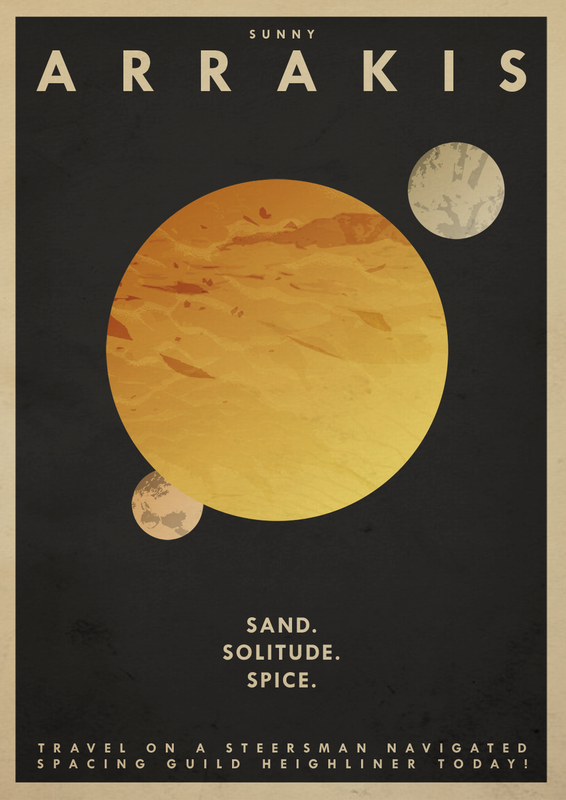 Dune). Pollution, over-population, and habitat destruction&#8212the liberal trifecta of red herrings that supposedly will lead to our doom (but a workable plot device)&#8212have made the Earth almost uninhabitable. People generally have to wear breathing masks and society is governed by a security state. It becomes apparent that having more than two children is illegal because of Malthusian policies put into place by the fascist government. Upon a warrantless search, the police discover the third child that the couple tries to hide. The father, fearing that she will be taken away from them, attacks the police. They subdue him, and the criminal enforcement system sends him to a long maximum security prison sentence. Apparently hitting a cop and having a third child are maximum offenses. It is poetically notable, also, that there is no depiction of a trial. Fast forward some years, and his wife comes to visit him in prison. We learn that society has found a way to overcome the problems plaguing Earth, by sending pilgrims through a one-way time fracture 85 million years into Earth’s prehistoric past&#8212a place of environmental perfection and hope (sunshine and breathable air). The wife is a well-educated well-trained highly sought doctor. She informs her husband that she has been recruited to this prehistoric colony, Terra Nova, and that their first two children are allowed to go but that she can’t take the third child, since that would be “rewarding illegal behavior.” Obviously her husband is prohibited from going. She has already, however, hatched a plan to abscond with her husband and smuggle their daughter so they can live in the past as a family. Through a bit of hidden planning and a small portable plasma cutter, the father/husband escapes, is almost outed near the time-portal to the past, and as his family is going through the portal, he makes a break for the time gate and throws himself through, ensuring his permanent freedom and his family’s reunification. I was floored. She successfully reunited her family, ensured that the terrible government that was oppressing their ability to freely choose how to create their family (three children) could no longer oppress them, and rescued her husband from a maximum security prison and a lifelong status as a convicted felon for actions that should hardly be considered crimes. It is harder to know what the worst part of 22d century Earth was&#8212the environmental decline or the totalitarian centrally planned security state (I mean, even the people allowed to go through the time fracture were chosen by the government, so it’s evident the government was in maximum control). The former doomed civilization. The latter made the last days of civilization unbearable. Of course they made the right decision! Clearly this decision is the plot device underpinning the TV show, and the tension caused by the decision to travel in time from the future to the past, and further tensions that will arise over the course of their lives are what will make the story interesting or not. Thus, it is possible the writers were intentionally explaining the crux of the story. But still, doing so directly made the tension too obvious, taking way sophistication the show could have displayed. And, using the vapid question, “Did we make the right decision?” made the show almost incredible. Truly, they are not quite free, because they arrived into a micro-culture that is run as a top-down command-central tribe, but at least they could leave the gates if they wanted to. They remain in Terra Nova voluntarily, because that society offers them better benefits than slumming it with the dinosaurs, but at least the choice is meaningful, precisely because they can walk outside the gates and never return if they decide that is a better choice. Meanwhile, the family gets to be together. The children grow up with a father. And they are free from the clutches of the security state of the year 2149. The question, “Did we make the right decision?” may have been more meaningful after a host of episodes in which they suffer and repel constant attacks, deal with disease, plague, and misfortune (I haven’t watched beyond episode 2, so I do not yet know what befalls them). At least at that point, one could understand the question as much as one could identify with the murmuring of the Israelites to return to the Egypt they had known out of fear for the wilds of the desert. When you are beset by the vagaries and tragedies of the wilderness, the temptation to trade its liberty for security becomes a more palpable tension. But to ask the question so soon after a heroic, exhilarating exodus was not just bad writing, it inexcusably glossed over how terrible the future civilization was. Maybe that’s because we’ve all gotten so used to an increasing number of controls that the show’s writers didn’t even think twice about the absurdity of the comparison. I’ve been wanting to do a post-mortem on the bar review course I took for California this summer with Barbri. Overall, the course was helpful. I took Barbri’s mobile course, which allowed me to watch videos and study from home. Because California is a large national market of bar applicants looking for assistance in preparation for the exam, most of the substantive lectures were very good. The multistate bar examination (MBE) preparatory materials (the MBE is the 200-question multiple choice test that 48 jurisdictions use on the Wednesday of bar exam week) were helpful, because they escalated in difficulty and idiosyncrasy over time. I found Richard Sakai’s pragmatic lectures about how to take the essays generally helpful and Peter Jan Honigsberg’s lectures about the California Performance Test also to be very encouraging and helpful. That said, the price of the program is too high for the material that is provided. Barbri certainly provides a significant&#151almost overwhelming&#151amount of material to the applicant. To its credit, Barbri makes no assumptions about what the average test taker needs and provides the full gamut of preparatory material so that each student has all the material any applicant might need to study. While I rarely looked at the complete subject matter outlines (instead using the lecture notes or the mini-review), the full outlines allow people who are completely unfamiliar with a subject to study them and feel satisfied they won’t need to do research elsewhere to understand the subject. There were more than enough past essays with model answers to practice and more than enough past performance tests with their own model answers to analyze. The sets of MBE questions were comprehensive. The irony is that because California is a national market for bar review (i.e., many applicants from all over the country take the test twice a year), the costs Barbri has in producing the materials and paying for the lectures must be subject to economies of scale, particularly when the legal material doesn’t change much from year to year. On one hand, I wonder if the inherent value* of the material is much less than the $4000 price tag of the program. To some extent, the cost of materials plus reasonably moderate double-digit profit** cannot possibly equal $4000. Some of the extra margin is driven by demand for Barbri’s goodwill. That it has been in business for thirty years and that lawyers (or would-be lawyers) are more predisposed to risk avoidance means that law students are routinely more likely to go with the dominant service provider in the market (the apparent tautology that more consumers choose the dominant vendor notwithstanding). Moreover&#151and I think it was Sakai or Honigsberg that implied as much in one of their lectures&#151California graders have come to expect that essays and performance tests have the formats that Barbri recommends applicants use, simply because (a) so many Barbri students establish a modal “average” for what a 60- or 65-mean scored essay should look like; and (b) many graders themselves used Barbri to prepare for the California Bar Exam when they took it. Thus, Barbri has established a quasi-virtuous cycle with the California bar exam graders and its own students. Students take Barbri because it can claim a higher-than-average pass rate for the California Bar Exam. Some of that incremental difference is likely driven by the fact that graders subconsciously expect essays on the whole to look like Barbri recommends, potentially leading to more satisfactory scores for Barbri students. Thus, the profit margins that California Barbri students pay are attributable both to its historical presence (goodwill) in the market and a virtuous cycle. I wonder&#151at least for self-motivated home studiers&#151whether it would be less costly and equally as effective to get hold of written California Barbri essay materials in the secondary market (thanks to the First Sale Doctrine***, eBay, and Amazon) and simply practice writing essays that look similar to Barbri essays. On the other hand, if one is simply just perusing the Barbri materials without paying for the service, it is arguably more worthwhile simply to look at the selected answers California releases with past exams for a more direct understanding of what graders are looking for. Undoubtedly, part of the value Barbri provides is in the feedback loop it provides for its students. Barbri, because of its size and customer base, can scale MBE practice question scores relative to other Barbri students, which provides, assuming its MBE questions on average represent the MBE questions created by the National Conference of Bar Examiners, an effective sample size for low-error rate comparison between other California test takers and a good guess at what a student’s MBE score will look like. Barbri also grades its students’ essays. This is the most value-lacking part of the course. I’ve heard from Barbri students in other jurisdictions that the essay grading in those places is helpful and a fairly accurate representation of the grading that will be done by actual bar examiners. Not so in California. Barbri graders routinely grade practice essays with an élan for doom. The scores students receive are typically very low, particularly at the beginning of the course, and sometimes at the end. No one really knows why but a consensus is that that Barbri is attempting to bootcamp its students into realizing that the California graders will not treat graciously a poorly written essay. On one hand, that could be commendable tough love. For me, it was nerve-racking and unhelpful. At first, when I received an excessively low grade from Barbri, I crusaded to shore my bar exam essay writing skills up. And then when more low scores were returned to me, I became discouraged. It wasn’t until I read about students literally copying model answers word for word, submitting them as experiments, and still receiving failing grades, that I realized that Barbri was intentionally deflating scores to impel its students to work harder. At one point, I received a 45 on an essay. I had made some mistakes, but nothing seemingly major. When I compared my essay to the grading rubric, I realized the grading system was a farce. A Barbri 45 indicates that the essay had not identified one major issue. In fact, in my essay, I had identified all but one minor issue. The grading was self-referentially incoherent as compared to the standards. I do not doubt that for some students, the Stick can be a very motivating incentive to try harder and do better as opposed to the Carrot. For me&#151as I am already a self-motivated, self-starting student&#151it was simply discouraging. All I wanted was honest feedback. If an essay truly deserved a 45, then I wanted to hear it. At one point, I wrote an essay that I thought was akin to a 75, and I think I received a 65. At that point, my disagreement with Barbri would have been debatable, if not pointless. 65 is a passing grade for an essay on the California Bar Exam, and if in real life the essay was actually a 75, then telling me I received a 65 might have been marginally helpful to keep me from complacency without harming my own developing self-heuristic for what way of writing would help me pass a real essay question. But when Barbri’s eagerness to keep its students from prosaic complacency leads them to fail practice essays by a wide margin when the essay may have been borderline or even a fair pass, Barbri loses its effectiveness as a preparatory tool. This also doesn’t comport with Barbri’s goodnatured cheerleading and its continual reminders that we should prepare enough, but just enough, to pass. It was difficult for me to simply aim for a barely passing grade but, my own fastidiousness for excellence aside, the fact that Barbri was proclaiming we should do “just enough” as contrasted to its graders failing essays that were objectively just good enough to pass, reduced the utility, consistency, and clarity of the process overall. We find out in eight days whether those of us who took the July 2011 California Bar Examination passed. I wanted to write my thoughts about the Barbri process before I found out, so that my opinion would not be colored by whether I passed the exam. That said, if I am honest with myself, good news next Friday will probably wash away the bad aftertaste in my mouth left by Barbri’s wonky practice essay grading system. Overall, I found the program effective&#151maybe not perfectly tuned to the California Bar Exam like some of the smaller boutique tutoring programs in California may be&#151but sufficient. I still question whether the price tag is worth it. I certainly think $2000 would be an outstanding value. At $4000, students enter the realm of prices for private tutoring ($5000+), and I wonder if paying another $1000 would have made for a better, more productive, or more effective experience overall. Barbri should lower its prices, but it still seemed to provide a relatively good, though not perfect, value. * Whatever this means. Value is always best calculated by what a willing buyer pays a willing seller. Thus, I don’t believe the $4000 price comprises just the value of the books and lectures, but also includes a host of intangibles. See supra. ** I do not begrudge high profits and do not really believe in the notion of “reasonable” profits as some sort of moral limiting factor on profit&#151that doesn’t mean I want (as a self-interested actor) to pay more than some arbitrarily low percentage of profit, even though I may still choose to do so anyway. Obviously there are comparative reverse inequalities of value at work. Such is the nature of free-market demand. *** No doubt Barbri and zealous IP attorneys would argue the First Sale Doctrine does not apply to a set of “leased” books, but the designation of the books as under a lease is arguable, especially given the fact that there is an inherent liquidated damages provision in the Barbri agreement in case one does not return the books, stipulating he loses his book deposit. This, among other factors, makes the part of the transaction having to do with the written books look like a sale. Full disclosure: I returned my California Barbri materials to Barbri per the face of my agreement with Barbri and received the deposit back.